Like oh my God, smile ok? For as long as I can remember I have loved to take pictures. Early on, I saw it as a way to remember things forever that might otherwise be forgotten. Well, at least that is the answer I gave my dad when I was 5 after he developed a roll of film that was completely of my hunky crush down the street. I think my crush was 9 and he helped me learn to ride my bike without training wheels *swoon* so I adored him. Wow, was my dad furious. He still brings it up about once a year, and shares with anyone that will listen about the time I took an entire roll of film of Nelson down the street. 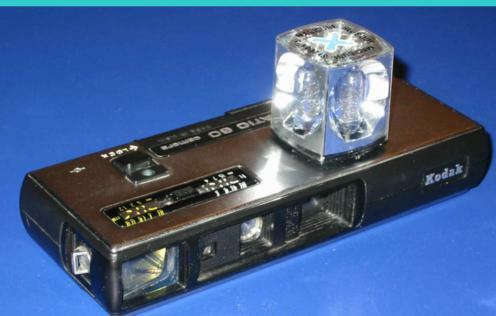 This was back when you had to pay for film, flash cubes, and developing. So pops had a bit of a right to be cranky. This was also the time that you had to make tough decisions about what pictures you were going to take. With my digital camera, I might take a *hundred* pictures in a night or at an event. Why not? It doesn't cost anything extra and with websites like Photobucket, I can store them forever. With actual film, you only had a certain number of pictures to take, maybe an extra one or two at the end of the roll. I remember actually having to remove people from pictures because I didn't want them in the shot. Ouch. Harsh, I know, but everyone did it. Sometimes you would even have to take a "fake" picture and get the real one later. Now however, there is no cost to taking hundreds of pictures until you print them out. I have over a thousand pictures on my phone. I have thousands more online. I share some through social media, but the rest collect virtual dust in a server somewhere. And that my friends, is just sad. So, once a week, I will post a picture that I took and share a little about it. These are my personal pictures (unless otherwise noted) so please don't try and snag them or post them other places without permission, because that just isn't cool. 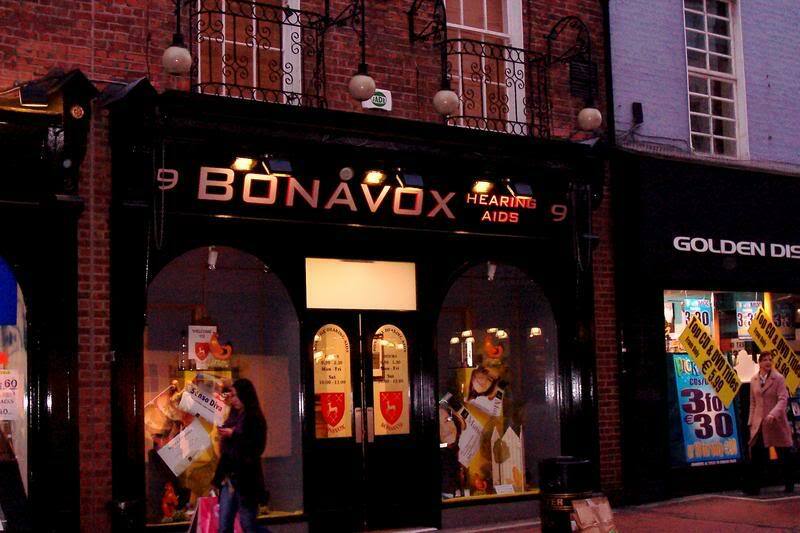 Bonavox hearing aids in Dublin, Ireland. My first trip to Ireland was rainy and dreary. I went in February because the price was astronomically low and it was the off season. I didn't want to bump into other Americans. I see enough here. When I went to my hotel, I was surprised at it. The hotel was down a winding side street in Dublin. When I got to my room and I opened the door whack the door hit the bed. I walked to the end of the bed and tah dah, I was in the bathroom. It was less than half the size of my college dorm room. I had always wanted to visit Ireland, and I was only going to sleep in the room, so I didn't care. I had a fantastic time exploring and making new friends. My first trip to a foreign country. One night while walking home from one of the local pubs, I saw the Bonavox Hearing Aid store and I let out a little squeal. I quickly fumbled for my camera and took the picture. For any die hard U2 fan, you would realize that this is the place that Bono's name came from. You accidentally became linked with U2 when Paul Hewson started using the stage name Bono Vox. Do you know how he came to settle on a wrongly spelt version of the shop's name? Paul Hewson has a good friend, an artist called Guggi Rowan. They were school pals and Guggi was around when U2 was being formed. Guggi, Paul and they were talking about names. Guggi had seen the name above our shop and said to Paul "I've got a brilliant name for you, it's Bono Vox, which means 'Good voice'." He got the name slightly wrong – we're Bonavox, not Bonovox. Paul took the name Bono Vox in full, later shortening it to just Bono. That's the truth of how he got the name. It was a great souvenir from an amazing trip. Now you all have a random fact to share with your friends. NBA Lockout + Cavs Tickets = ?!? !